Pick Up Only for takeaway. 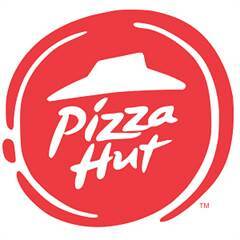 Check your local Pizza Hut store by entering your postcode to see the latest promotions. Our coupon codes above can be better than the local listings. HIGHLY RECOMMENDED - Sign up to the Hut Lovers® Mailing List, found on the footer of the website. You'll receive details of store-specific promotions directly to your phone and inbox. Follow Pizza Hut on Facebook. You’ll then receive news of pizza promotions, voucher and coupon codes as well as exclusive deals. Check out Domino's instead. If you’re willing to order with Domino's instead, check out our Domino's coupons page, where you may find a better pizza deal. Avoid downloading the Pizza Hut Android app - it currently has poor reviews and frustrated customers, so sticking to the Pizza Hut vouchers web page is a popular alternative. Know something about Pizza Hut we don't? Want to share it with thousands of New Zealanders? Email our coupon team now and share the love.